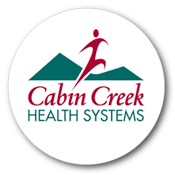 Cabin Creek Health Systems offers a sliding fee discount program. The sliding fee discounts are available to patients who are unable to pay because they are uninsured and they meet the household income/size guidelines. The discounts are also available to patients who are insured who meet these income guidelines. In the case of insured patients, the sliding fee payment levels are for the portion of the allowed service charge not covered by the insurer and for which the patient would normally be responsible. Once approved for sliding fee, coverage is valid for one year. Patients must re-certify every year to maintain coverage. To download an application, please visit their website directly. 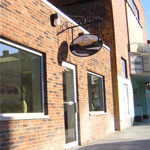 We have listed the dental costs below which we have compiled for Cabin Creek Health Center. We cannot guarantee the dental costs to be completely accurate. Costs are displayed for informational purposes for our users. We have compiled prices provided by users to this website. In order to obtain actual costs please contact the dental offices directly. We do not have any costs yet for Cabin Creek Health Center. Be the first to add a dental cost!